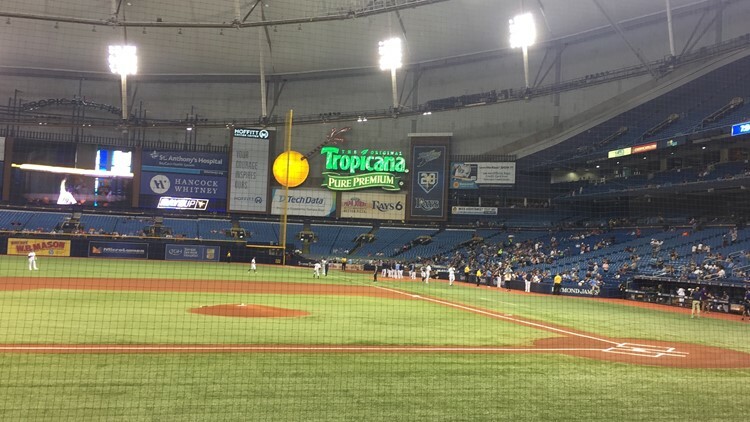 The Rays are basically locked into their lease at Tropicana Field. ST. PETERSBURG, Fla. -- The Tampa Bay Rays have notified St. Petersburg that the team is officially terminating its negotiating window with Tampa. Last week, the team's principal owner Stu Sternberg confirmed his MLB franchise would not be able to finalize any plans to build a nearly $900 million ballpark on the other side of the bay before the three-year negotiating window expired. The Rays are now effectively locked into their lease at Tropicana Field, and that lease doesn't expire until 2027. Political approvals, site control, investment issues and overall high costs made the current attempt to move to Ybor City unsuccessful. St. Petersburg Mayor Rick Kriseman has vowed to work with the Rays organization on any future plans if the city is asked.